Arrive Tel Aviv and transfer to your hotel in the Galilee region. Overnight. Breakfast. 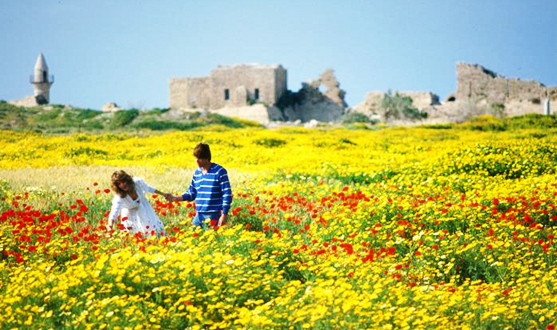 Visit the Caesarea National Park with its magnificent remains of Herod's city, the Roman capital, port and fortified crusader town. See the Roman Theatre and port area surrounded by 800-year-old walls. Enjoy the Caesarea Experience, a multimedia presentation. Continue to Acre the historic walled port-city with lots of interesting tunnels and towers to explore going back to Crusader times. Visit the Knights Halls, the Al-Jazaar Mosque, the bath house and the new ethnic museum. Have lunch at a seaside Mediterranean restaurant. Drive to Rosh Hanikra, where the rocky cliffs descend steeply into the sea and take the cable car down to explore the grottos. Drive to Tiberias, stopping for an incredible view of the towering crusader fortress of Montfort. Enjoy dinner in Tiberias on the waterfront or in a country-style restaurant nearby. Overnight in Galilee. Breakfast. Drive north to the Hula Valley Nature Reserve with its walking trails and "floating bridge" over the wetland, and observe avian wildlife. See Oforia, a multimedia display about the region's migratory route. 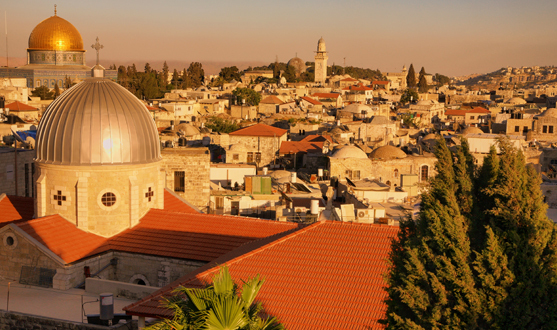 Visit mystical Safed (Tzefat), walk the old streets, tour historic synagogues and art galleries and visit a candle factory. At Meiri House Museum, see century old artefacts. 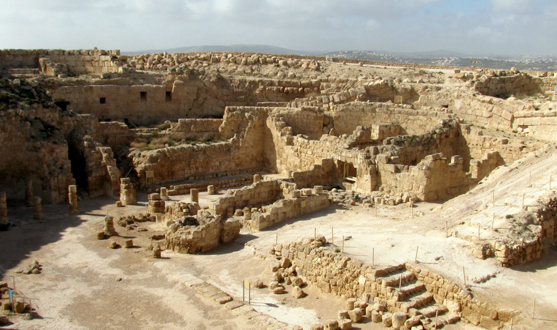 Continue to Tsippori National Park, with its remains of a Jewish city from Talmudic times. See beautiful mosaics of a synagogue and the famous "Mona Lisa of Galilee," and wander through its cave-like water system. Late afternoon, drive to Jerusalem. Check into your hotel. Overnight. Breakfast. Today we shall visit the Israel Yad Hashem Holocaust Museum; take a walking tour of the Old City, including the Jewish Quarter's Cardo and the Burnt House, visit the Western Wall. Visit the Southern Wall Excavations, walking on the original 2000 year old street and visit the the Davidson Center, in the basement of an 8th century palace. In the late afternoon, explore some of the interesting churches in the Old City, like the Russian Orthodox Church, wander the Old City markets, or visit the Biblical Zoo. Overnight. Breakfast. visit Qumran, where the Dead Sea Scrolls were discovered and see the audiovisual presentation .Take the cable-car up to Massada fortress built by Herod the Great, scene of the epic stand by Jewish rebels nearly 2,000 years ago. Visit the museum at the visitor's center. Continue to Ein Gedi and hike through its Nature Reserve. In the late afternoon, enjoy a dip in the Dead Sea. Overnight in Jerusalem.